There are several legal aspects involved in a New York divorce. The New York Divorce Guidebook will give you a summary of these aspects. 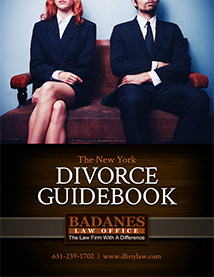 Download Your FREE “The New York Divorce Guidebook” Here. If you are getting divorced and have children, most likely one of your major concerns is when you will get to see your children. The time you get to see your children can go by many names, including: visitation, parental access, parenting time, or custodial time. Whatever it is called, the concept is the same, namely, when will your children spend time with you. Our ebook will help in crafting a parenting schedule that will work for you and your ex-spouse. Download it today! 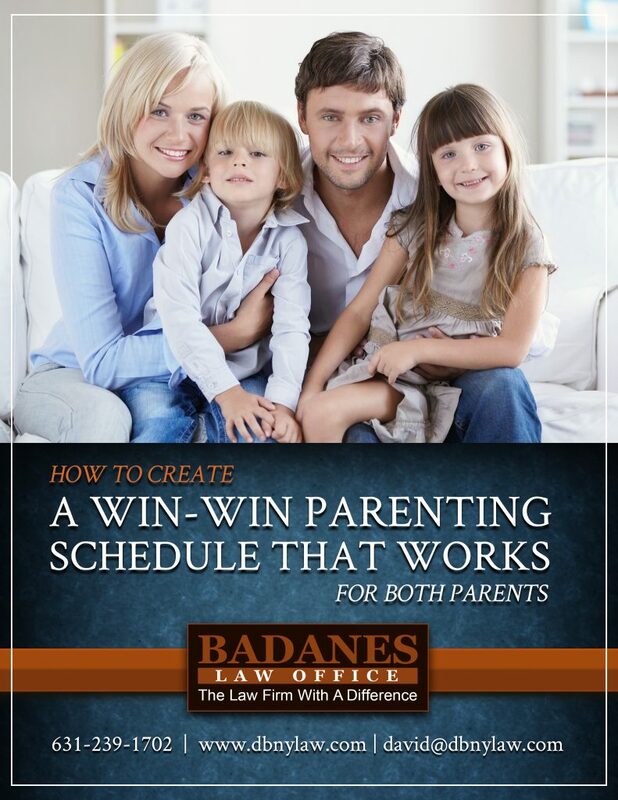 Download Your FREE “How To Create A Win-Win Parenting Schedule That Works For Both Parents” Ebook Here.